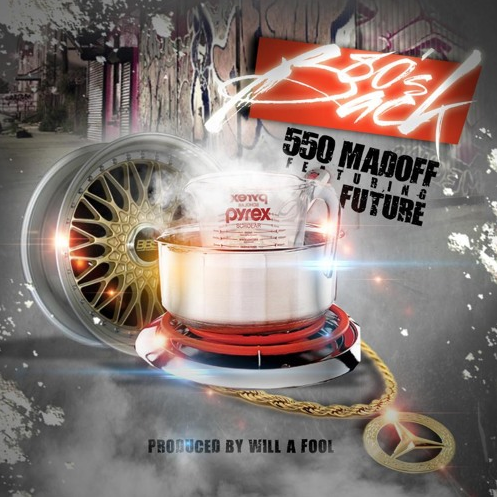 Meet 550 Madoff with his new trap anthem, "80s Back," featuring Future and produced by Will A Fool. We've got a new Atlanta artist to introduce tonight by the name of 550 Madoff. He's had a couple big records, such as the Metro Boomin-produced "Ready to Ride," and he's looking to make waves in the streets with his new single, "80s Back," featuring Future, who happens to be Madoff's blood cousin. The kinship is apparent on "80s Back," and they come out with a tough dope-boy anthem, produced by ATL fixture Will A Fool. Madoff boasts about how he's bringing back the 80s, the era when crack swept the streets and dealers ran the town, and Future closes the track with a ferocious verse. Tell us what you think of "80s Back," and check back with us on Monday for the premiere of another big record from 550 Madoff.